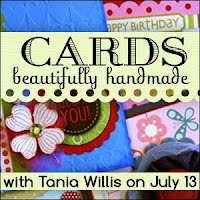 The July classes at Get It Scrapped! just right for your summer schedule. Since Get It Scrapped! is not offering any classes in August, be sure to check out the July lineup and grab a class to give you inspiration and play throughout the summer. In September look for more art journaling and digital scrapbooking classes, photo editing for fun effects, scrapbooking with fabric, designing for details, photographing children, and a whole lot more. Each of these lessons offers so much to think about that they’re great for beach reading and brainstorming. You’ll find and scrapbook the material of your everyday life with prompts, detailed approaches, examples, journaling lessons, and sketches (3 sketches per lesson=18 sketches with layered templates for digital scrappers). 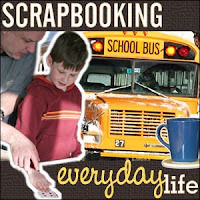 Check out a free preview lesson for ideas on how to scrapbook your “everyday places” and a journaling lesson that shows you how to write meaningful journaling that’s not sappy. This is the perfect summer class -- grab your scraps and trimmer, some adhesive, a basket of extra embellies or your favorite stitching tools, and settle onto the porch to create. The children in your life can craft along next to you. Tania will show you tons of awesome ways to add detailing that wows, and she'll inspire you to look at the goodies in your stash in new ways. Learning new Photoshop techniques for digital scrapbook pages is satisfying on so many levels: there’s the mental challenge of learning and mastering new skills, the joy that accompanies creating, and the pleasing feeling that comes from having your memories and photos on great-looking scrapbook pages. 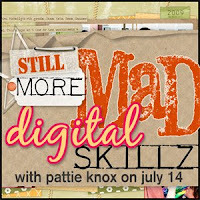 Learn “still more” advanced techniques while getting new ideas for using your digital products and showcasing your stories. Sign up now for 6 new lessons and another bundle of awesome supplies from the designers at DesignerDigitals.com.